Gain insight into the therapeutic experience and progress to further study with City’s Postgraduate Certificate in Counselling Psychology. This course is part time, one day a week for one academic year. The Postgraduate Certificate in Counselling Psychology is for students who are planning to go on and do further graduate work, whether through a Doctorate in Counselling Psychology or a related profession. The course is for students who have an undergraduate degree, but you do not have to have a first degree in psychology. Some students use the programme as a bridge towards further study in counselling psychology, while others apply their knowledge and skills from the course within the counselling or psychotherapy profession. As well as fulfilling the academic side of the programme, you need to be willing to investigate yourself and be open to exploring personal and interpersonal dynamics. This is a course for those with a willingness to expose their vulnerabilities and explore their own and others’ inner worlds. The Postgraduate Certificate in Counselling Psychology has been designed to give you an excellent foundation for further advanced study in counselling psychology or related areas. A one-year part-time course, the programme blends theory and practice so you gain a rigorous academic base in counselling and psychology, as well as a significant and varied practical component. Emphasising the connection between psychological theory and counselling, this programme is not just about understanding knowledge – it is about understanding how to apply what you have learned to ensure that your practice promotes psychological development. On our Postgraduate Certificate programme, we focus on the therapeutic relationship between the therapist and the client and concentrate on the personal subjective experience of the whole person. This makes the emphasis of our approach holistic rather than diagnostic, in keeping with the ethos of counselling psychology. You will investigate person-centred, psychodynamic and cognitive behavioural theories and use a range of practical modes from client case studies and interviews to personal diaries and role-play exercises. How can I connect psychological theory with practice in a way that can lead to psychological growth? How can I create a meaningful connection? What do I need to understand about my own psychology to be able to help others? How has my experience on this course influenced my own personal and professional development? This is not a professional training programme and is not intended to train you to be an independent practitioner. If you wish to undertake professional training in counselling psychology, leading to registration with the Health and Care Professions Council (HCPC) and chartered membership with the British Psychological Society (BPS) please see our Professional Doctorate in Counselling Psychology. You are usually required to have a 2:2 honours degree or above for entry to this course. Relevant experience or a recognised professional qualification is an asset, but not a necessity. If English is not your first language, you will need to provide evidence of having either English Language GCSE grade C or above, or an IELTS test score of 6.5 or above (with a minimum of 6.0 in each separate sub-test). If English is not your first language then please read the English requirements section above for further instructions because you may need to supply some additional documents. Likewise, if you are not a British national, from the European Economic Area, or from Switzerland then please refer to the Visa requirements section above. You do not need to attach references when first submitting your application. Note, however, that references will likely be needed to assess your suitability for the programme. Therefore, we strongly encourage you to contact your prospective referees to ensure that they are willing and able to promptly provide these supporting documents. In our experience, there is often a considerable time to receive references, thus causing some prospective students’ applications to be delayed. The sooner we have your supporting documents then the earlier we shall be able to review your application and make a decision. Please note that this course is not accredited by the British Psychological Society (BPS), and so does not make one eligible for Graduate Basis of Chartered Membership upon completion of the programme. A number of City’s other courses are BPS accredited. You may wish to refer to the BPS website (note, external webpage), for further information about accredited courses. teach the programme so you learn from professionals with significant experience within the field. 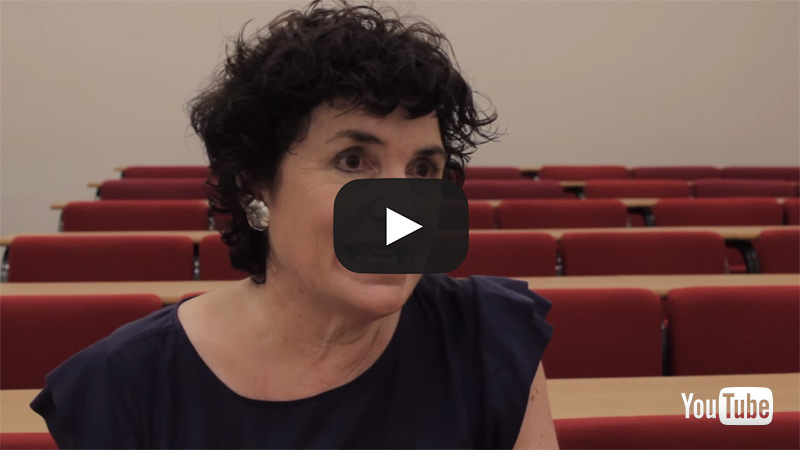 In this film Dr Susan Strauss introduces the Postgraduate Certificate in Counselling Psychology. Practising clinicians teach this programme so you gain insight from experts working within the field who offer clinical examples from their own experience. Lecture sizes tend to be fairly small (typically around 25 people) so you learn within an intimate environment. You will learn through a variety of methods including lectures, role-playing exercises and group presentations. Dr Sara Chaudry is the course director of the Postgraduate Certificate in Counselling Psychology Programme. Sara is also tutor and lecturer on the Professional Doctorate in Counselling Psychology. She has a broad range of clinical experience from working with diverse client groups, and she currently works in private practice. To be awarded the Postgraduate Certificate qualification, you must successfully complete one piece of coursework for each of the six modules. Coursework formats include written assignments, a reflective diary, project work and class-based role-plays and presentations. Your project, which is a literature review where you choose a topic of interest and write a 2000-word essay, focuses on a specific mental health or psychological subject. This course runs on one day a week (on a Wednesday) for one academic year. It consists of six modules, four of which are taught modules and two of which take the form of a project and personal and professional development. You will study two of the taught modules in the first term, and the other two in the second term. We expect you to use the time between the teaching hours for independent study. One of the unique features of the programme is the variety of ways in which you apply your learning. For example within the ‘theoretical models in counselling psychology’ module, you will be given a client case and asked to write up a client study as though you were seeing the person in practice. This gives you the opportunity to choose a theoretical model and apply it within a client context. Similarly, within the ‘understanding mental health module’, you learn about conditions including depression, anxiety, and psychosis and demonstrate your understanding by delivering a class presentation. You will also be asked to create a booklet for a layperson explaining a condition. In these ways, the course gives you opportunities to translate the theory you have learned into a practical application with a real-world impact. For many students the programme is a means to progress towards doctoral study. Created with psychology graduates, healthcare professionals, teachers, social workers, managers and others professionals in mind, it gives you the opportunity to develop your interpersonal and counselling skills and improve the way you apply these skills within your professional practice. Counselling psychology at the doctoral level is still a relatively new field in the UK. At City we offer the Professional Doctorate in Counselling Psychology, which many students choose to move on to after completing the Postgraduate Certificate. City was the first institution in the UK to provide UK-accredited counselling psychology training. City’s Professional Doctorate in Counselling Psychology is one of the largest of its kind, and has made City one of the premiere institutions for counselling psychology training.